Now I decided to do a full comparison between the PC version and iOS HD version (thanks to git) and make some separate goomods for each change in this page. So prepare... for an extra long description! /ResourceManifest/Resources/Image/@atlasid. This attribute was not implemented in PC version and I don't know what it does. 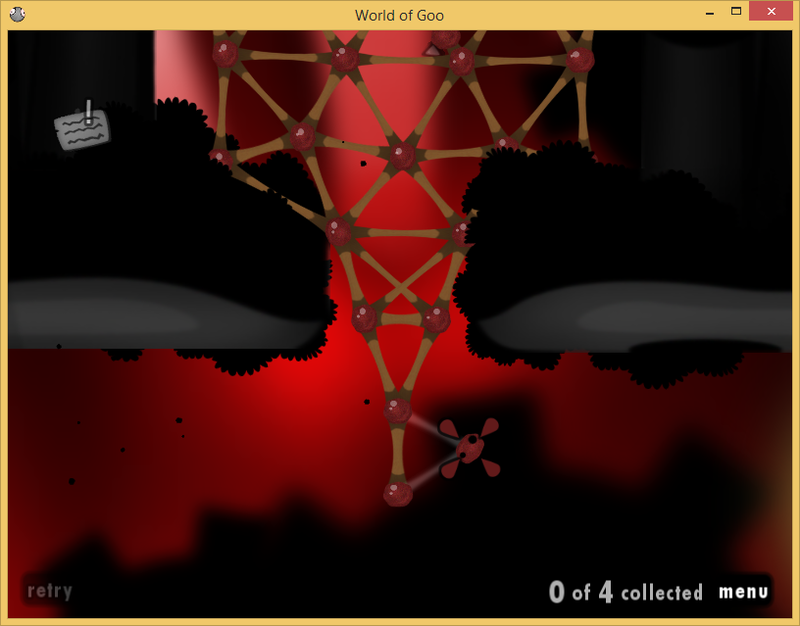 It seems it's set 0 for some resources in the global resources manifest and goo balls' resources manifest and set 1 for some resources in the levels' resources manifest. Two directories are renamed: /res/balls/_generic => /res/balls/generic, /res/movie/_generic => /res/movie/generic. 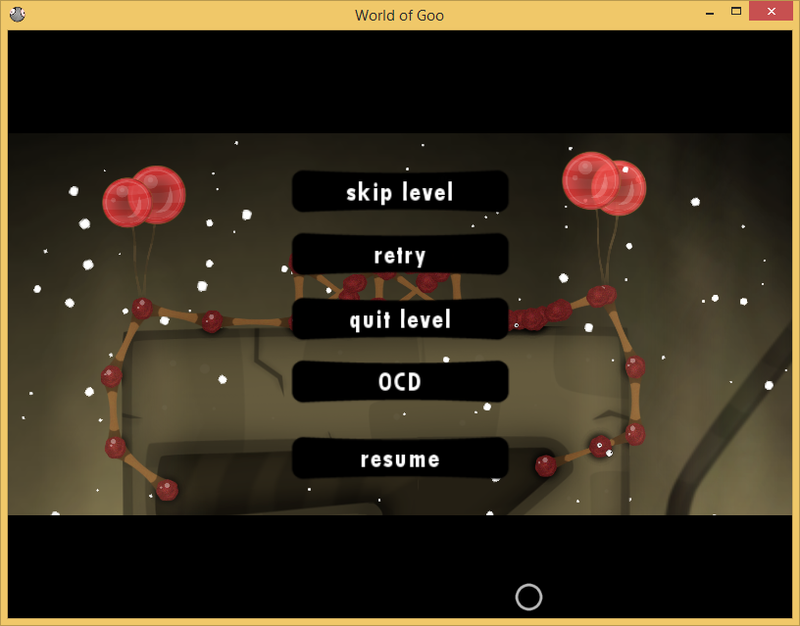 The ogg files are converted from AAC & AIFC, so it's meaningless to diff them. The order of some resources are changed. 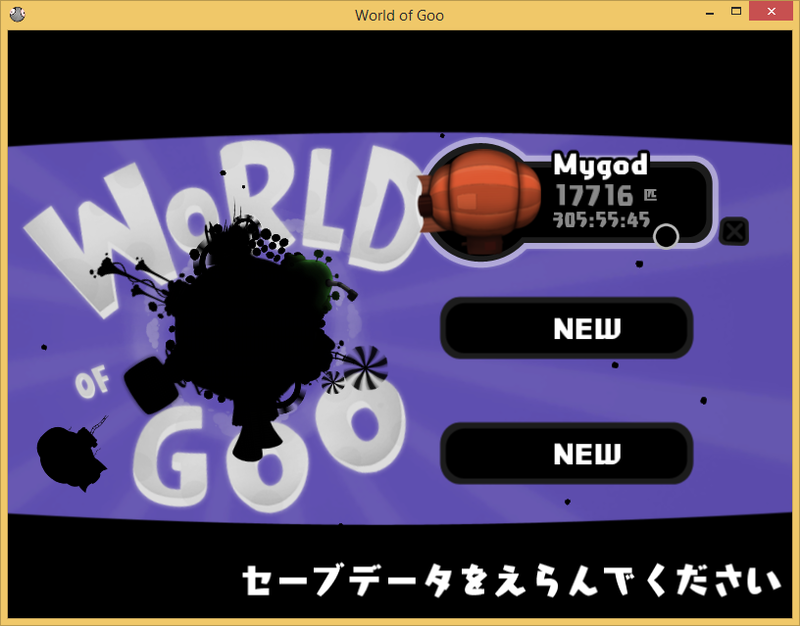 The following is the description for each goomod. 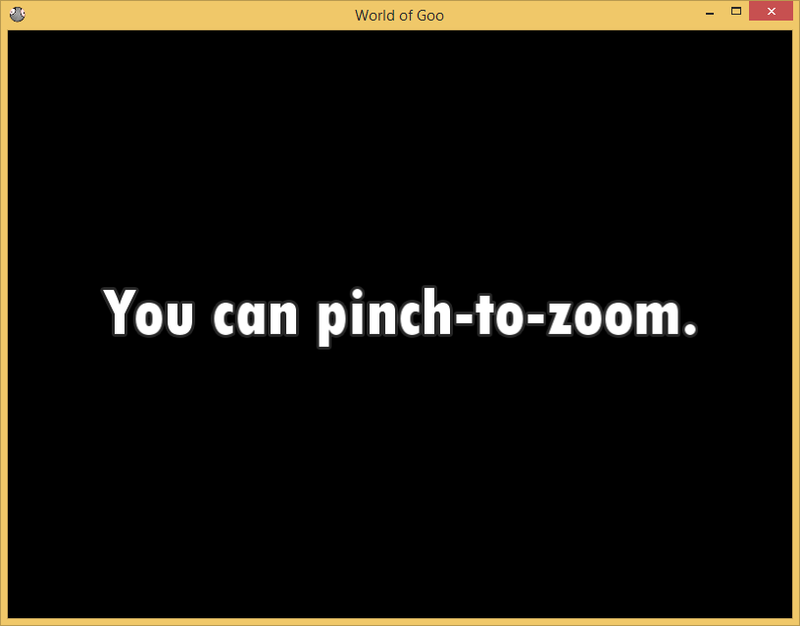 Improved World View, a new message from Sign Painter in Fisty's Bog, smaller retry button, the new pinch-to-zoom movie in iOS, the new island UI and a lot of slight improvements. Hint: You need to skip a level with Game Menu to make the letterbox disappear in the islands. 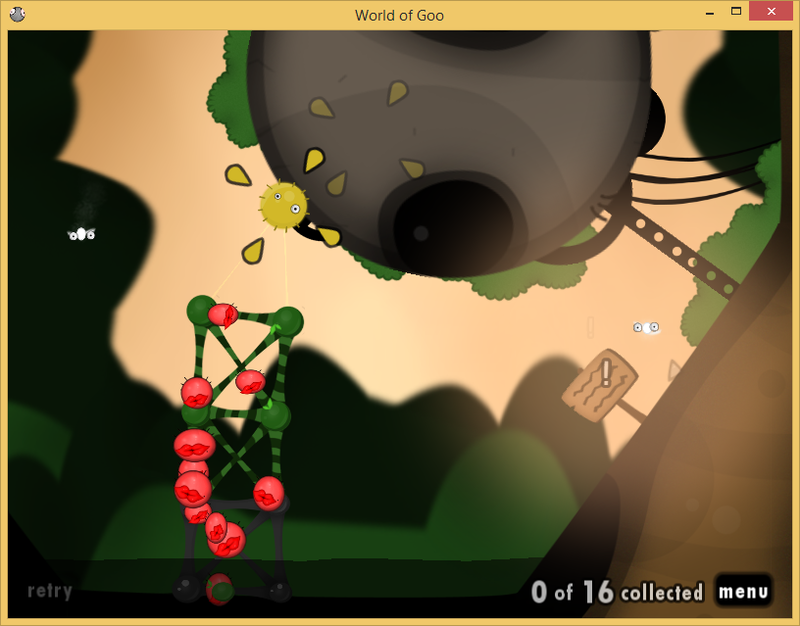 What's new in 1.1: Support islands with no letterbox after skipping a level. The game menu in iOS allows you to skip for infinity times because there is no check. Extremely useful for moderators who have to beat the extremely difficult levels in the submitted chapters if their skips run out. 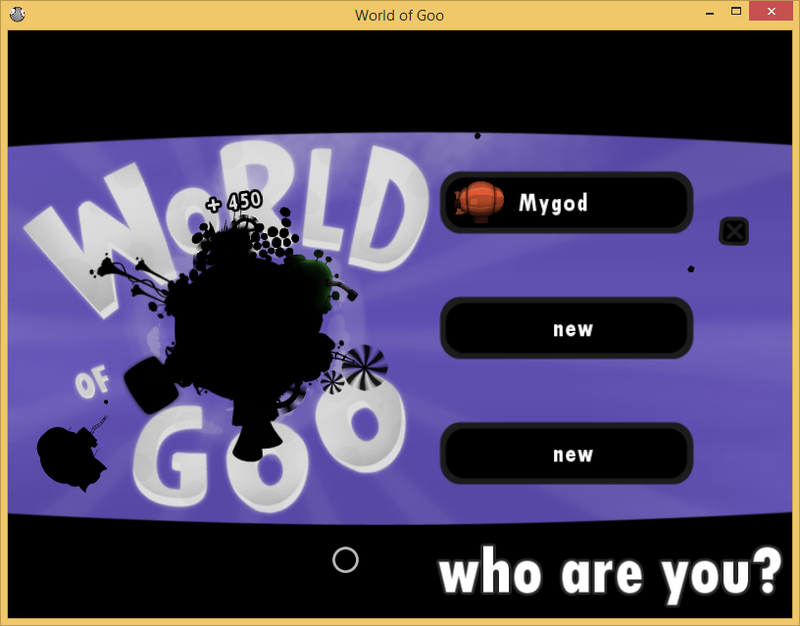 (this feature is first discovered by @wogfan using my unpublished goomod World of Goo iOS Theme) Enjoy. Welcoming Unit has fewer GooProducts and more transparent water. 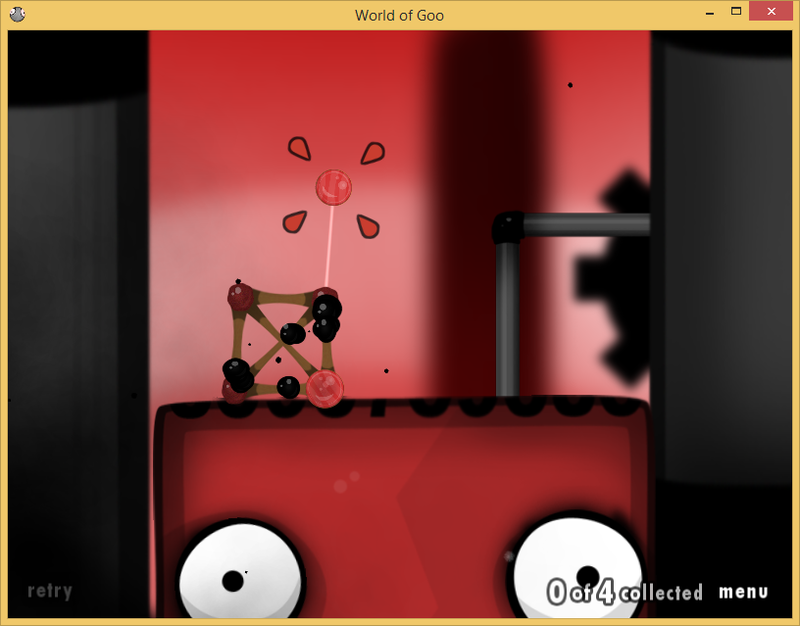 Super Fuse Challenge Time (included in World of Goo HD Easter Eggs for PC) now contains an easter egg and fewer goo balls which makes this level easier to achieve OCD in. Product Launcher has fewer Fuses and ZBombMom spawn fewer ZBombs. 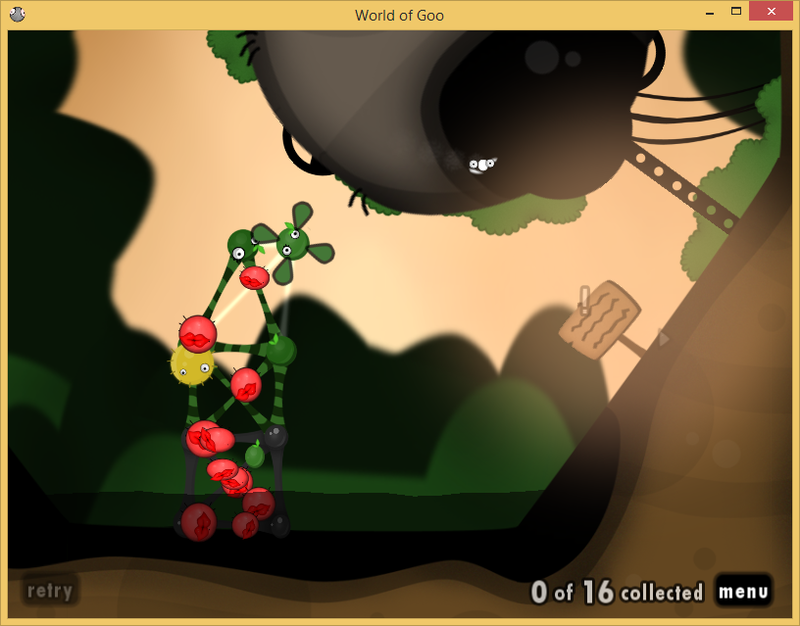 GooProducts will no longer trapped in the corner in Road Blocks which makes 28 balls easier to achieve. Deliverance has fewer Bits and fewer Pixels, and UndeletePillFizz spawn fewer Spams. 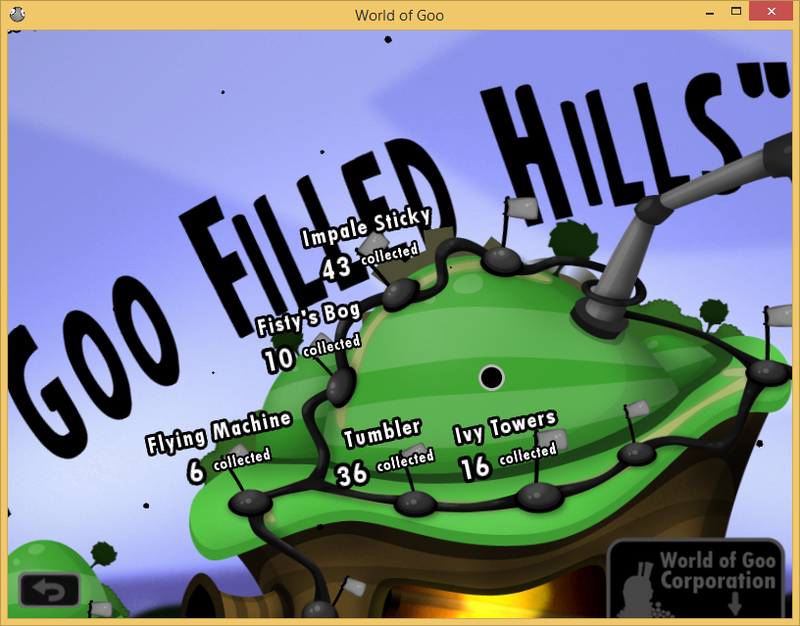 The order of five levels in Chapter 1 are rearranged: Impale Sticky, Ivy Tower, Tumbler, Flying Machine and Fisty's Bog. Anyway the images are manually processed for balloon, Bone, Fish, Fuse, Ivy, Pokey. The markers for Bit, DrainedIsh, Pilot, Pixel remain unchanged because the PC version seems to be using /level/@textcolor to colorize markers. What's new in 1.1: Now with colors!!!1! As I said, there's no way I can tell if the sound has been changed since it's using a lossy format so I'll just post all the music & sound here. Anybody can help? Some performance improvements in iOS version. Just for fun. Not recommended to install for daily use. Supports 5 new languages: Chinese Simplified (NOT PERFECT, this one is better), Hungarian, Japanese, Korean and Polish. There are 8 current downloads. Show 3 archived downloads. This is an English-only site. Stop asking questions before reading posts. EDIT: This page is finally done after a whole day's work. Feel free to try them. 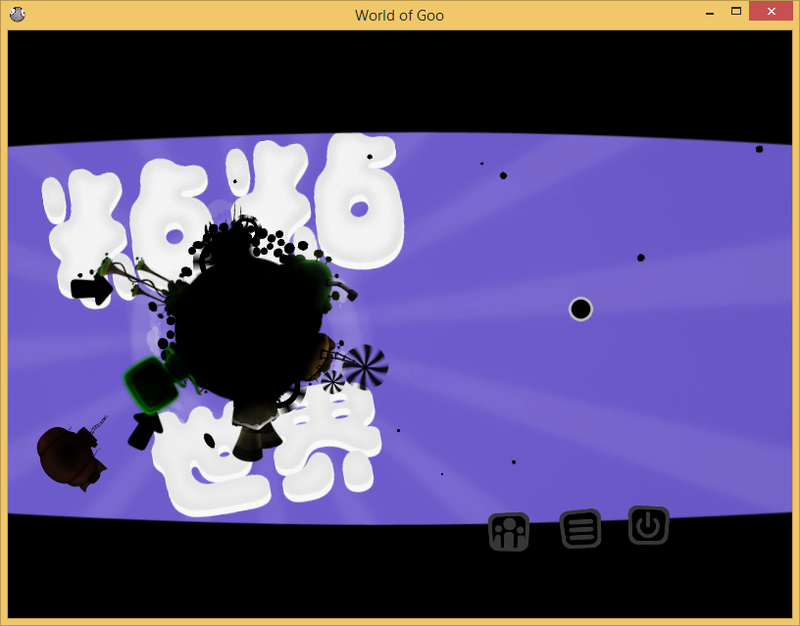 I am making a goomod called Colorful Markers based on markers on iOS. Also, the chapter icons in World Map are different from PC in iPad version. After some testing, I found that skipping a level ends with levelexit will cause letterbox disappear in islands, skipping a level not ends with levelexit will cause the game crashes after skips run out. The chapter icons have already been changed. Read the description please. In fact almost all the possible resources changes have been made into goomods. 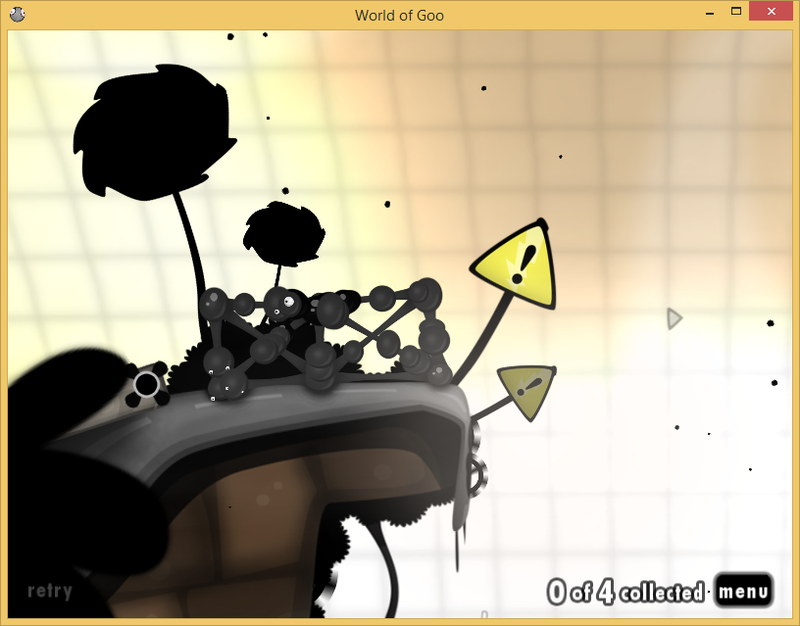 And only skipping levels with cutscenes will cause the game crash. The letterbox disappearing requires /level/@letterboxed=false. Good find. P.S. Just counted and found I've written 50 XSLs for this page. OK. I skipped all levels in Bubble Quest. What're these.. I cannot read'em. I am not gonna translate any chinese sentences for you any longer. 1. is there a pack packing all of these? 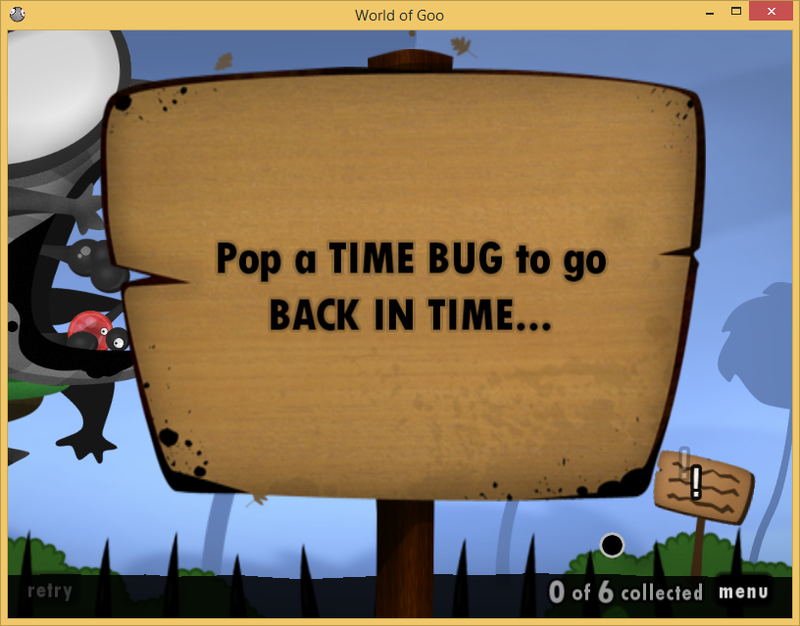 2. are the words moving when you move the button in GameMenu ? 1. No. Just download them all or only what you want to enable. 2. How can you move the button? 1. I have downloaded all of these and i gave the theme a score of 5 ! they r interesting. 2. to use woogle to move the button, can't I? Why do you need to move those buttons? Yes you can. The text is bound to button. If you move the button, the text will move too. How's your Colorful Markers going? 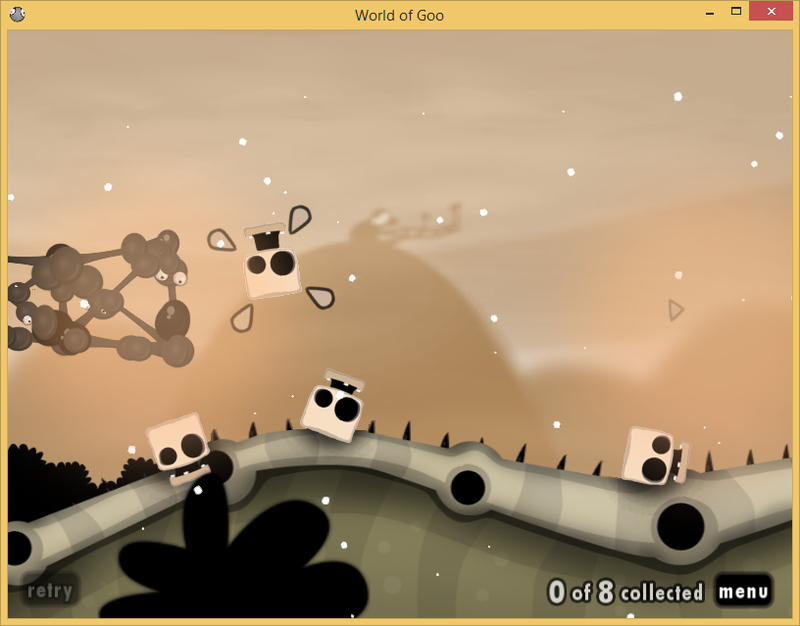 If you read the description, you should find that there are NO resources available in iOS version of the game except some white markers which is included in the Markers goomod. EDIT: I think the colorize values are hardcoded. I found a list of goo ball ids in the binary which didn't appear in 1.30win. Well at least I have a ball list now. If you haven't started it yet, I'm gonna upgrade my markers to colorful version now. Yes these balls' marker have colors. I'm going to take screenshots at these markers and use Photoshop to make seperate markers for each gooballs. I'm not at home now, so I haven't started yet. If you upgrade the markers, I will work on another project. EDIT: Why hex and pixelproduct have markers? I've extracted the color and search the codes in the game binary and found totally nothing. I don't know why they have markers. I guess it's a mistake. I'll just skip them. EDIT: It seems that in PC version, the game will colorize the markers with /level/@textcolor which stops me from making red markers for Pilots. 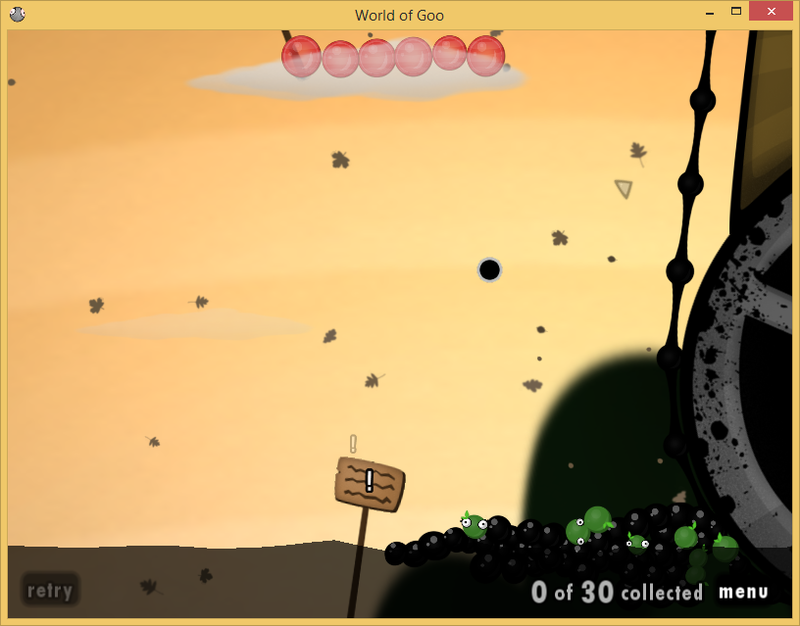 Anyway, the colors for island4 goo balls are pretty simple: #FF0000 or #00FF00. It seems that in PC version, the game will colorize the markers with /level/@textcolor which stops me from making red markers for Pilots . Yes, it will, but you can try to make a red marker with Photoshop. It will be filtered and end up a black marker I think. You can try it though. Uhhh, Mygod, a problem, how can I change the language as I got the language mod? 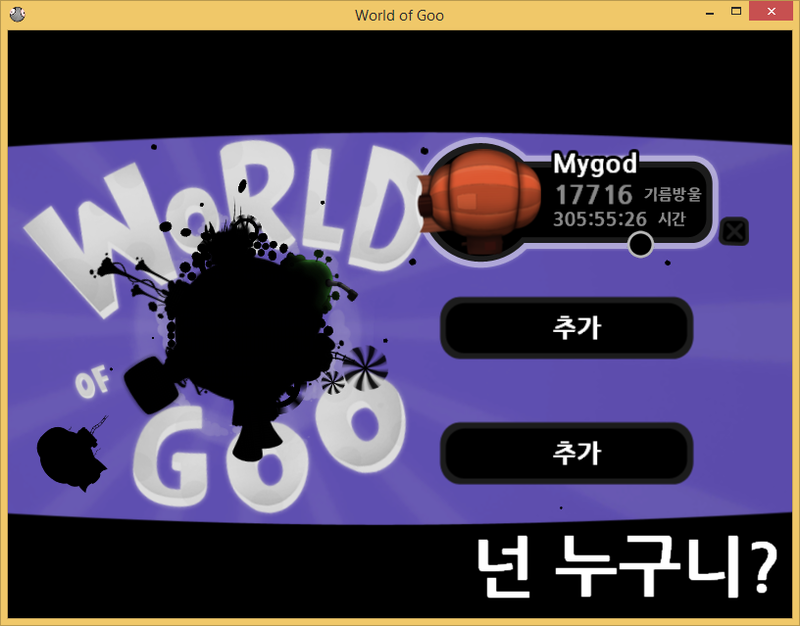 Ur...how to use the goomod for translations? I changed my language to Korean but after I launched the game I can't see the texts. It's replaced by blanks. How should I do? Try to use this copy. It seems 1.20-* versions doesn't support localized fonts. 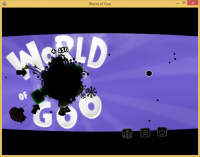 Changing the language: Just use GooTool to change the language. But since the language code for Chinese is incorrect, you will need to change language to cn in the properties/config.txt manually and use GooTool for other languages. EDIT: * 1.30 uses the same binary as 1.20 so it won't work either. * 1.30 uses the same binary as 1.20 so it won't work either. 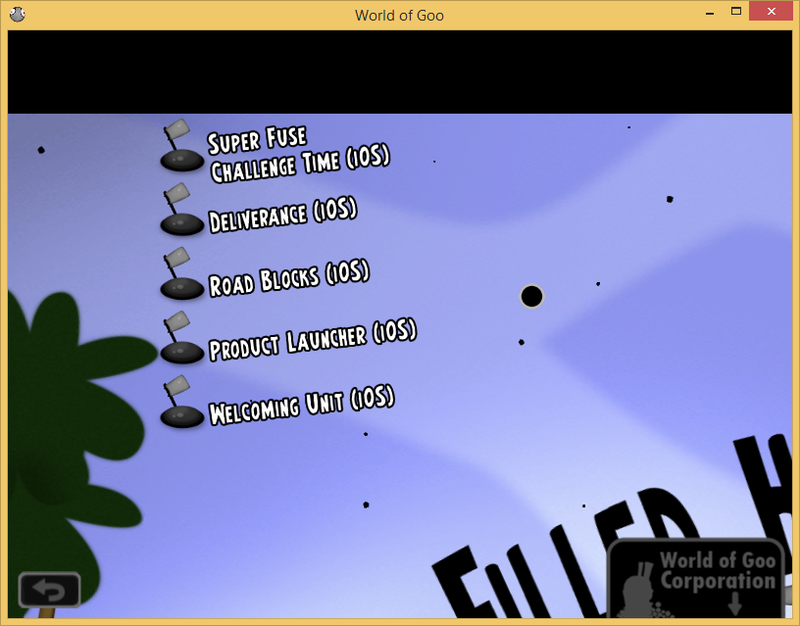 The fuses are awake in iOS version, maybe it's possible to achieve 0 moves. Korean still can't be seen . 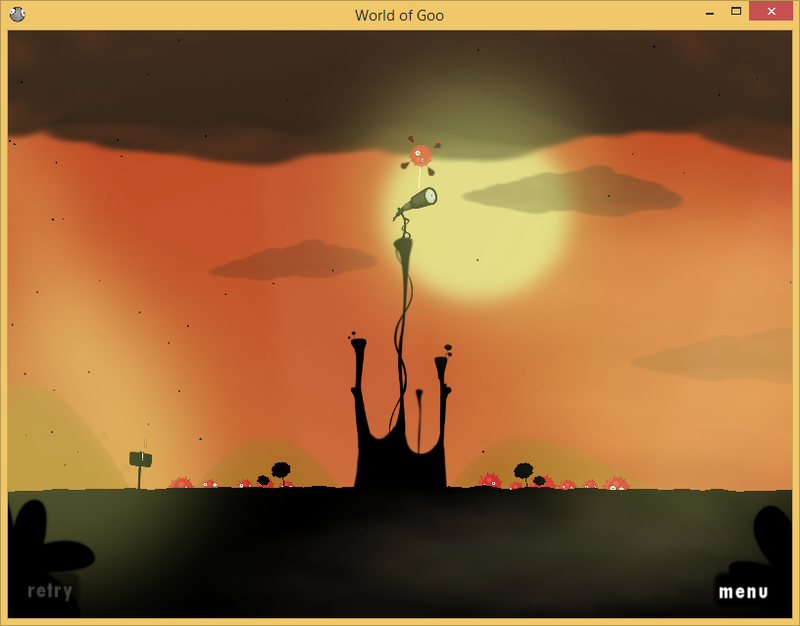 I am a baidu post bar of pleasant goat shops and this mod is all you want to install?